We use it in the kitchen as a condiment and preservative for pickles, vegetables and relishes. As a nontoxic household cleaner with dozens of applications. It’s an environmentally friendly weed killer. It’s used to set dyes in fabric, and ironically, to whiten fabrics. To unclog drains and disinfect cutting boards. As an air freshener to remove the smell of smoke. It will keep our pets free of fleas and ticks. Such a simple fluid, and yet so versatile. So let’s have a closer look at “vin aiger” – which the French aptly named, meaning sour wine. 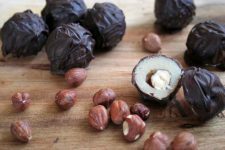 We’ll go over some of its applications in the kitchen as well as a couple of recipes using different types to pique our taste buds. This wonderful soured liqueur is made from two natural, biological fermentation processes. 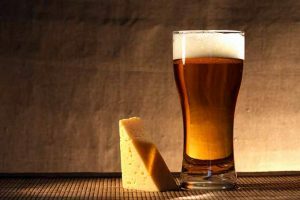 The first, alcoholic fermentation, occurs when yeast converts sugar into alcohol. This Italian balsamic (grape) vinegar is being tested to see if the Acetobacter bacteria has completely done it’s job in changing the alcohol into acid. And in the second phase, known as acetic fermentation, a bacteria called Acetobacter then changes the alcohol into acid, which creates vinegar. Acetic acid is one of its main properties, but vinegar is not acetic acid. Acetic acid itself does not contain the small amounts of macro and micronutrients found in its host. Perfect for enhancing the flavor of food, it’s also very low in calories with just 9 per tablespoon for distilled white and 14 per tablespoon in balsamic, with the calories coming from the carbohydrates found in sugar. 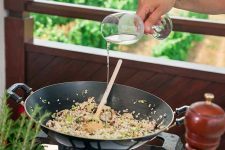 With zero fats and very low amounts of carbohydrates, some studies have shown that a small daily intake may be an effective aid in weight reduction programs. 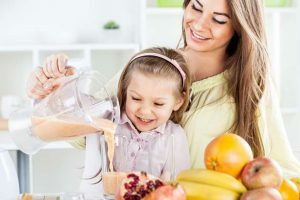 But another study from the Netherlands in 2012 found that daily swilling of the apple cider variety may be damaging to tooth enamel, so caution needs to be exercised. 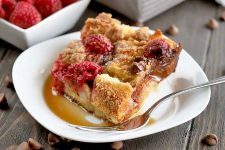 Apple cider vinegar and other raw varieties can, however, be used to make flavorful fruit shrubs. Don’t know what a shrub is? Read more and get the recipe to make your own here. 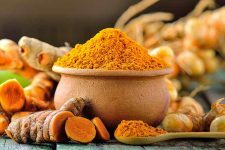 Considering its many claims to beneficial health properties, little research to date has actually been conducted to reach any concrete conclusions regarding potential health benefits. As vinegar can be made from any fruit or sugar source, there are a wide range of varieties found in specialty and health food stores. 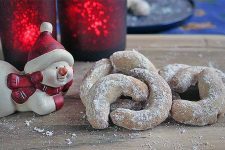 Some of the more exotic are date, banana, pineapple, and raspberry, as well as those infused with spices and herbs such as garlic, hot peppers, and tarragon. 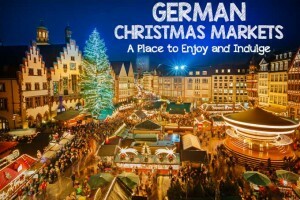 Whatever the variety, each is labeled by the FDA according to the materials and manufacturing processes used to make it. Generally, they involve the two-fold process mentioned above, and are classified according to their starting materials. 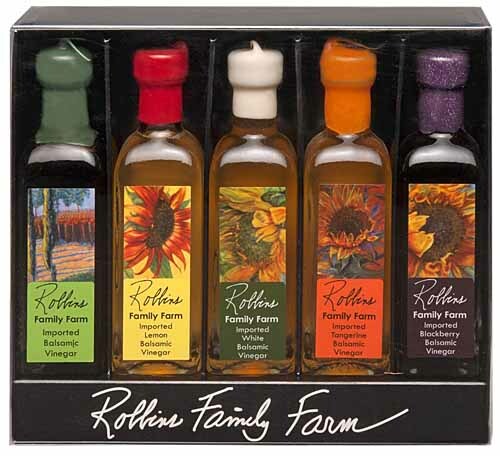 Foodal recommends this Balsamic Vinegar Gift Set by Robbins Family Farms to try out a few varieties. 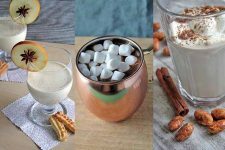 Distilled white is made from dilute distilled alcohol; the wine varieties come from grapes; cider is made from apples; malt from barley malt and other cereal grains; rice from rice; and balsamic is made from grapes but can also undergo a third step of heating or concentration. Coarsely chop fruit scraps, removing any bruised areas. 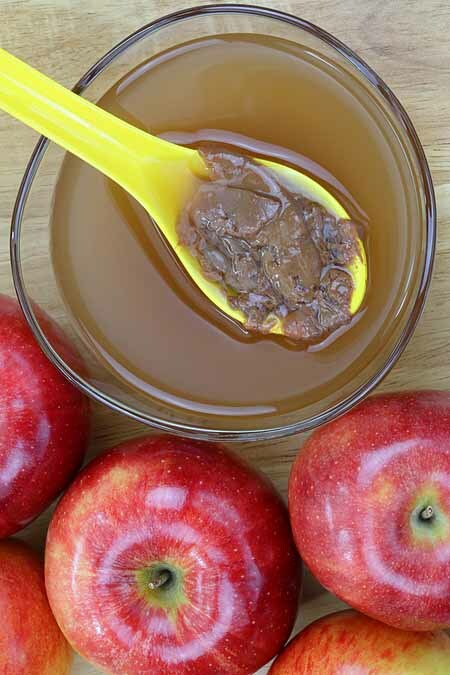 Add 2 tablespoons of apple cider vinegar to kick start fermentation. Add sugar water to the ratio of ¼ cup sugar to 1 quart room temperature water, dissolving the sugar completely. Place the fruit scraps in mason jars and fill with the sugar water. Place in a cool, dark location and cover with a clean tea towel. Stir daily. After a week or so, the fluid should darken. At this point, strain and remove the scraps, return the liquid to the jars, cover again and ferment for another 2-3 weeks. Stir periodically during this time. 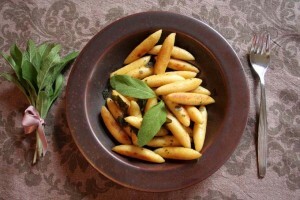 The result will be flavorful and fragrant, a wonderful ingredient for use in homemade salad dressings and condiments. However, as the acidity of homemade brews can fluctuate greatly, don’t use this for canning or pickles, as the acetic acid levels need to be at least 4% to ensure that any bacteria is killed. If you get into making your own as a hobby, then I’d pick up a copy of the book referenced above. It goes into much more detail on the production process and includes 17 recipes for infused or flavored varieties. I pretty much love anything that Storey publishes. They aren’t coffee table books with tons of pretty pictures, but if you’re looking for practical “how to” guides, they are about as good as it gets. I picked up my copy from Amazon. Most commercially produced vinegars today go through pasteurization and will remain clear. But some, such as organic varieties, cider and balsamic types, may form sediment after opening. You can see the “mother,” the cloudy mass at the bottom of the bowl. This is known as “mother of vinegar,” and it’s formed by the natural bacteria in the fermentation process. It is actually cellulose, a plant fiber. Here’s another shot showing the “mother” in a little more of a coagulated state. Completely harmless, though not particularly appealing to look at, it doesn’t affect the flavor or effectiveness; simply strain and enjoy as usual. Because it’s an acid with a low pH level, it’s self-preserving and doesn’t require refrigeration, and has a virtually limitless shelf life. Some cloudiness may occur over time, but again, this doesn’t affect its flavor or other properties. While there’s no hard and fast documentation of early production, archeology points to the Neolithic era or approximately 8,000 BC as the time period of its initial appearance. Almost certainly an accident of early wine making using dates and figs by our farming ancestors, large jugs with clay stoppers dating to 5,000 BC that were found in Mesopotamia contained residues typical to vinegars. Similar residues were also found in Egyptian urns circa 3,000 BC, as well as evidence of soured rice wine in China from the same era. Hippocrates reportedly prescribed a home-brewed cider type mixed with honey for coughs and colds, and the Greeks were known to pickle vegetables with it. During the Middle Ages, this tart elixir was used as a drink and condiment, and also for washing. When Cardinal Woolsey’s duties required him to mix with the peasant crowds, he carried a hollowed orange that contained a vinegar soaked sponge and whole spices to protect him from infection. During the time of the Bubonic plague, a similar concoction called “four thieves’ vinegar” was reputed to protect bandits as they the robbed the sick and the dead. 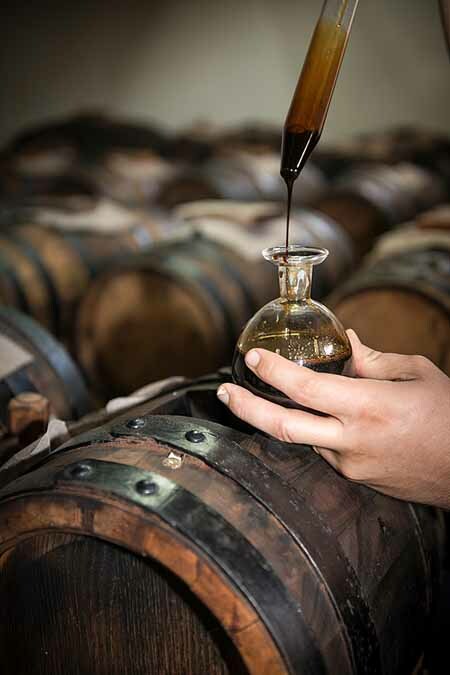 In 1394 in Paris, the first vinegar distillation company was incorporated. And in 1895, Louis Pasteur identified the actual process of bacterial acetification as part of his work on fermentation. Deodorize and clear the kitchen drain by pouring in 1/2 cup baking soda followed by 1 cup of distilled white vinegar. When the foaming stops, fish with hot running water. Wait five minutes, then flush again with cold water. It’s gentler on the pipes than commercial cleaners, and also deodorizes by removing bacteria. 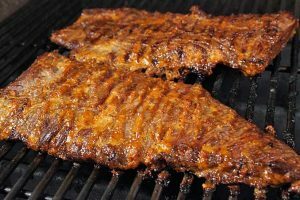 Absorb the smell of grilling smoke by filling a shallow bowl ¾ full with white vinegar, and let it sit for several hours. By the end of the day, the smell of smoke will be gone. As an acidic cousin to lemon and limes (which can be uses to polish metal), vinegar can be used to buff up stainless steel appliances by misting with a spray bottle and then buffing with a soft cloth. As a natural non-toxic cleaner, it can cut through cooking grease on the stove, counters and backsplashes. Try pouring some directly onto a damp cloth and wiping down surfaces. 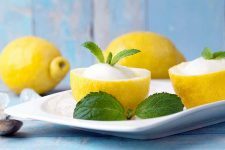 Some other natural cleaners include lemon, baking soda, and borax. 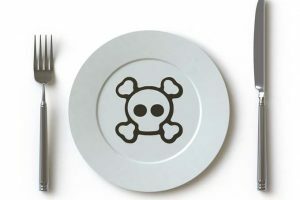 Disinfect cutting boards with full strength distilled white, as the acetic acid will eliminate harmful bacteria like salmonella, E. coli, and staphylococcus. Clean the drip coffee maker with a solution of 2 cups white and 1 cup water. Run the cycle, then rinse at least once with a plain water cycle. Be sure to check the manufacturer’s instructions first. Clean the garbage disposal (or “garburator,” for us Canucks) with vinegar ice cubes. Put 1 teaspoon distilled white in each cube mold, fill with water and freeze, then run through the garbage disposal. 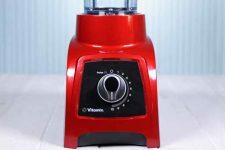 Clean and eliminate bacteria and germs from your veggies and fruit before putting them away with the solution outlined in our post on kitchen hacks. Truly a gift from nature, vinegar remains a pure and simple potion that seems designed entirely for our benefit. 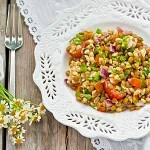 So in appreciation, here’s a tasty recipe for a lentil salad that uses apple cider and another type for a white wine herbed vinaigrette – enjoy! 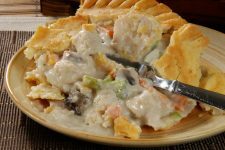 This flavorful salad can be served on its own or over a bed of lettuce, with sliced tomatoes, cucumbers or orange pieces on the side. This teams up nicely with a dry white wine and a fresh, crusty baguette. Be careful not to overcook the lentils, as they’ll become mushy. In fact, certain varieties are better at holding their shape than others. The lentils do tend to become soggy if left overnight, so this dish is best served the day it’s made. In a medium saucepan, place lentils and bay leaf and cover with water. Bring to a boil then lower heat and simmer 20 – 25 minutes until just tender. Drain and rinse the lentils with cool water, removing the bay leaf. Let cool. In a tightly lidded jar, combine all dressing ingredients and shake well. 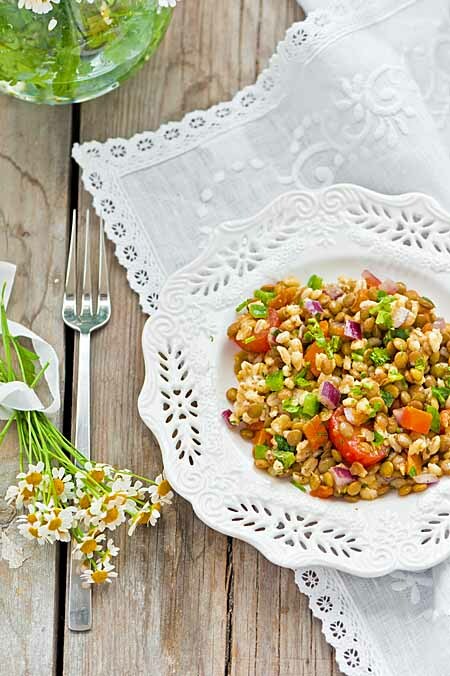 In a large bowl combine the lentils with the salad dressing, coating thoroughly. Add remaining salad ingredients and mix well. This recipe calls for grated carrots. A good box grater makes all the difference in the world in this being an easy job rather than a chore. This tangy vinaigrette goes well with any tossed green salad or drizzled over steamed vegetables, and it adds great flavor to foil wrapped veggies done on the barbecue. In a tightly lidded jar add all ingredients and shake well to emulsify. Chill well for several hours before using. This recipe call for fresh lemon zest. If you don't have one of they marvelous tools, then you should read Foodal's guide to microplanes and zesters to help you choose a good model. Balsamic is a favorite of mine but I use only a dash and to be honest I didn’t know there was that much sugar in it. I use vinaigrettes for dressings and also sauces because I don’t like them too creamy. I also find them versatile as you can add mayonnaise to it if need be or dip bread into it. I do think you have to be careful of how much you use as too much acid can be bad for you too. My mother loves her malt vinegar and it’s a taste she has developed and likes a dash on some strange foods. 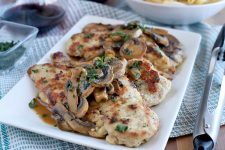 Balsamic’s a fav of mine too Bella, it’s always in my vinaigrette’s… and is delicious for dipping with focaccia! And I have to admit, a plate of fish ‘n chips just doesn’t taste right without the malt flavor. I use this and other natural cleansers quite a bit around the house, as well as in cooking, but I had no idea it could be used to set dye in fabrics. I’m bookmarking this so I can come back and make your vinaigrette recipe, once I pick up some fresh herbs, and I’m also going to check out that book, it sounds very interesting. I used to make a lot of costumes, and if we were dying pieces or fabrics it would always get set with a vinegar bath (natural fabrics, not synthetics) – and Easter egg dyes used to require the same many years ago. These ‘acid dyes’ require a certain PH level for the hydrogen molecules to bond, which the acidic solution provides. Hope you like the vinaigrette, and the book! I remember the egg dye tablets that needed vinegar! My favorite use is for french fries– the tang goes so great with salt and a bit of ketchup. A reduced balsamic swirl on a pizza is a fantastic spin over more traditional toppings. The addiction to the tang is a real thing! The stuff is also great as a flavor backbone for potato or mac salads especially if you use pickle juice. 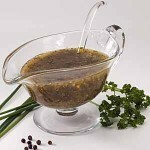 That’s a great recipe for salad dressing, it’s very similar to spiedie sauce which is a common marinade, dip, and dressing here in Upstate NY. Cheers! A balsamic reduction is something special – must try it out on the next pizza night! Thanks for sharing deezee. I actually use a vinegar rinse for my scalp! We live in an area with extremely hard water and I’ve tried every shampoo, conditioner, scalp treatment out there that is affordable and is supposed to take care of flakes. I started doing these rinses and then following it up with freshwater (bottled) after washing my hair a few months ago. I no longer have to wash my hair every day or deal with flakes! I also love that vinaigrette recipe you posted! I plan to make some up tonight! I’ve heard of using it for a hair rinse but haven’t tried it myself. Thanks for sharing Sagrimo – another benefit of this versatile liquid. Enjoy the vinaigrette! That Balsamic set would be a great gift for my grandmother! In the Philippines, we use it in a lot of our dishes so my grandma would be really thrilled if she gets a set like that. I would too, because I love balsamic out of all the other types of vinegars out there. I especially love mixing it with some olive oil and dipping focaccia bread on it. It’s absolutely delicious! 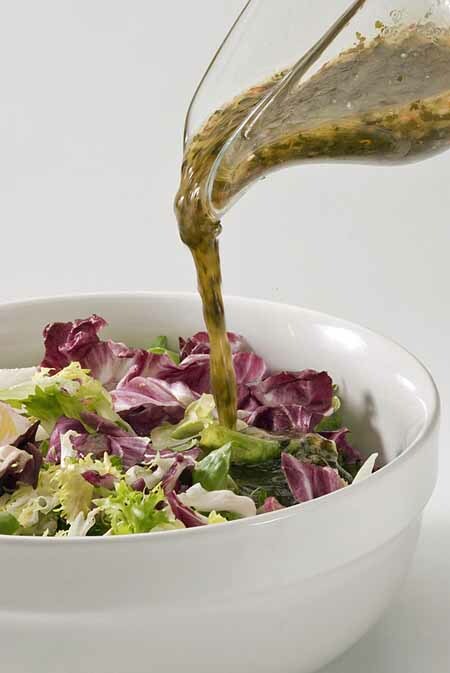 I also prefer vinaigrette for my salads instead of thick dressings so I’m saving that Herbed Vinaigrette recipe up there for the next time I have salad at home. If your gramma likes to cook keytcee, it would make a great gift… the flavors looks tantalizing! Let us know what you think of the vinaigrette when you make it. Thanks for the great article and recipes. The list of household uses is very helpful. I like vinegar and I normally use the apple cider and red wine varieties. I would like to try them all over time. I did not know before now, that balsamic is made from grapes. All the cooking shows I watch are always using it and praising it for its superior flavor. This is one of those items that no ones kitchen should be without. Thanks for your comments aphil, glad you enjoyed the post… balsamic does have a unique flavor. Try switching it in a recipe for a red cooking wine and see what you think. I never really thought about using vinegar to clean the stove. I suppose it makes sense though. I use a mixture of it and baking soda to clean my white converse and it does a great job. I will try to give it a go on my stove. It might save me money on cleaning supplies and be more healthy as well. Hi, I am curious of folks know the best type to make gluten-free sauces, dressings and marinades, I have used Rice and Red Apple types but was wondering if Champagne is gluten-free or if anyone had other ideas about which varieties to use when creating these. If the product is 100% made from grapes (as it is a Champaign “version) then it should be gluten free. 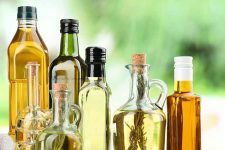 However, if it includes any ingredients such as rye, wheat, or barley as a basis for its vinegar, then no, it will contain probably contain some gluten. Check the labels. I wouldn’t of thought of making my own! I’ve made my own oils and such but this seems to work in a similar enough way. Kinda? Do you find it makes a significant addition to any meals that would use it as a base for a dressing? Also, would making my own out of, say a very sweet ingredient, result in a sweeter style (although vinegar tends to be quite sour naturally)? Kinda… and yes, homemade examples do make a nice impact on meals. For example, an apple-scrap vinegar used for cooking a pork tenderloin will also work well as a salad dressing, tying the two dishes together with a common taste. 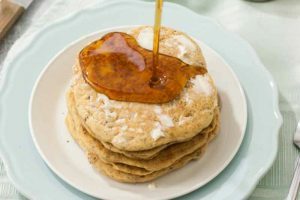 To get a sweeter version, I believe it would have to go through an additional process of heating; which reduces the liquid to a ‘mosto’, a sweet syrup which is then fermented – similar to balsamic. The use of vinegar has been a foreign concept to me. My mother-in-law SWEARS by it, and I am starting to learn how awesome it truly is! Thanks for all of the tips! I can’t wait to try some of the things mentioned. My husband is a vinaigrette lover! Guess I need to start with some of the products and recipes for that:) The one thing I struggle with is the overpowering smell. How do you keep your house from smelling like vinegar when you use it as a cleaning agent? Thank you for this post, there has been a lot of bad info about vinegar floating around the web lately but this is on point. Such a great/safe/natural cleaning product and so healthy for you. I love the little history section it really bring this point home. It is one of those things we seem to take for granted, but it certainly has a proven track record! Glad you liked the post and the bit of history jony, thanks for commenting. Wow, this is more than I ever thought I’d learn about vinegar, haha! I personally love pickled fruits and veggies, and I always put a healthy dose in my salads (it does wonders for making kale more bearable!). Homemade vinegars are a lot like homemade beer and wine – lots of flavor, but definately not as refined in taste as commercially bought. Fun to make though, and a good way to use up excess fruit. Haha, I’m glad I found this article. My husband loves to use vinegar for everything! Including cleaning all our foods. He acts as if its God. I fight about it with him all the time, but after reading your article I guess it really is a God sent. I think in other comments I saw something about it being used as dye? How does that work exactly? Sounds like your husband knows a good thing when he sees it denelizr! 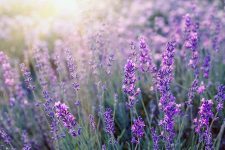 I’ve never heard of it being used as a dye, but it was used to ‘fix’ dyes in natural fabrics – the acid in the vinegar provided the necessary PH level for the dye to bond to the fabric and prevent the color from washing out. I have heard of people using vinegar to help lose weight. My favorite kind is apple cider . The type that we buy has the “mother” in it. There have been times when I would take a couple of tablespoons just for taste I need to be extra careful as my teeth are sensitive. 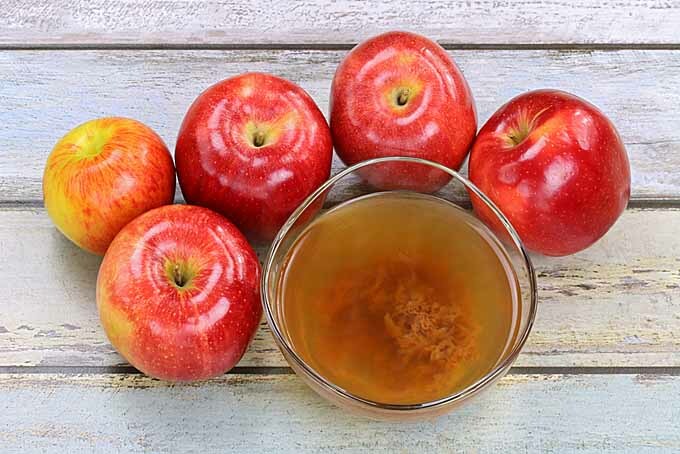 Research shows that apple cider vinegar may help with weight loss by turning on certain genes that help with breaking down fat. But as you point out, shouldn’t be consumed ‘straight up’ as the high acid content can damage tooth enamel and the esophagus. 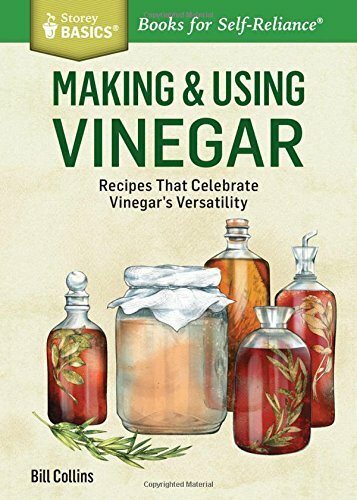 I have always heard that vinegar could be used so many different ways but never took the time to research it. I’m bookmarking this page for easy access. The most adventurous I’ve gotten with the vinegar so far is for the garbage disposal ice cubes. I’ll definitely try the other tips, though, thanks for sharing! A pleasure cbrain, glad you found the tips to be helpful. Good information. I had a recipe call for Champaign vinegar before but could not find it at the normal grocery store. 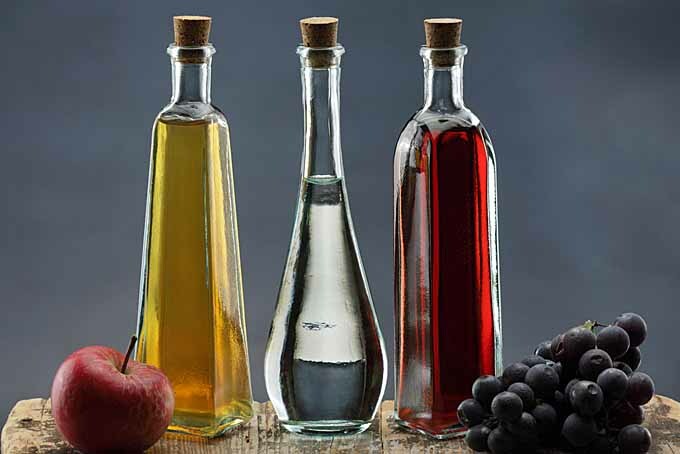 Do you know what the difference is for this vinegar compared with others that are more commonly found at your basic grocer? I do like to use white vinegar for cleaning but since it is acidic I have heard it is not good for cleaning grease. In order to break up grease you want a more basic solution, like baking soda for example. Making your own cleaners is great and can save a lot of money but not everything goes well together nor can they all be used to clean everything. Champagne vinegar is made from the same grapes champagne is made from, which gives it a similar flavor. It’s made in the same manner as white or cider vinegar, but has a lighter taste. You may have to look for this in a specialty food store, or it can be purchased online as well – Amazon has several choices available. Vinegar is amazing on turkey sandwiches with the right bread. I got it once when I ordered one from a restaurant and fell in love ever since. 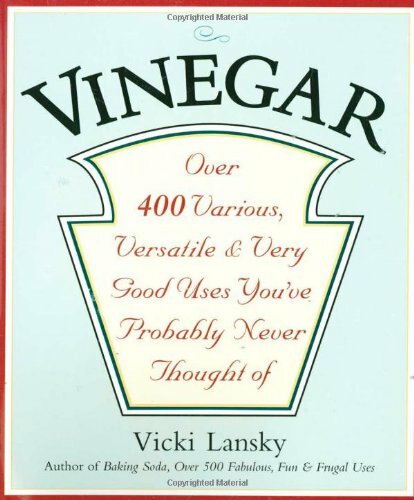 Sounds interesting… do you remember what type of vinegar? Okay I’ll be the first to say it. I hate how vinegar smells. The only thing I hate more would be the smell of mayonnaise. That being said, I love how vinegar adds flavor to stuff. It’s excellent as a salad dressing or in pickling certain things. Plus apple cedar vinegar is my go to for an upset stomach. I find that white vinegar smells the most pungent so I have to be real careful when I’m adding it to a dish or my gag reflex kicks into action. I’d never use it as a cleaner though. I can’t imagine all the shiny surfaces in my house smelling like vinegar, I’d die. I need to try it on my pets though, I have two cats and if vinegar wards off fleas I’ll definitely be using some. That gift set looks so pretty I might just have to buy it. I have a thing for matched sets. I try to take a spoonful of apple cider vinegar everyday. I heard this helps with digestion. In addition, to using vinegar as a salad dressing I also use it as a cleaning component. I mix white vinegar with water and a little alcohol and use it as a disinfectant. It’s more natural and less toxic then a lot of store bought ones. 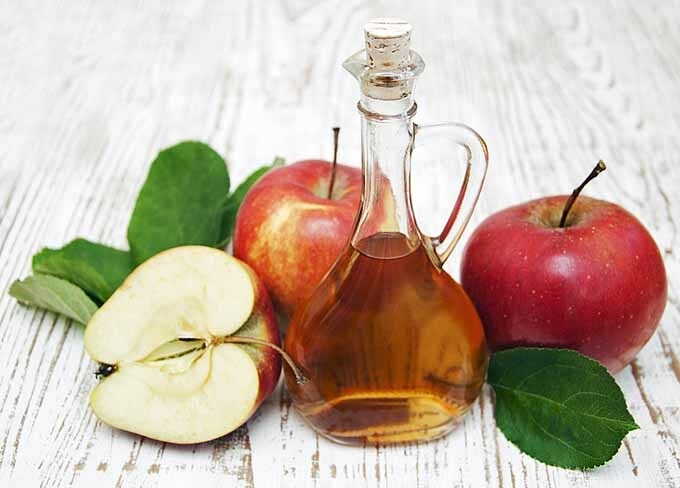 Using vinegar for heartburn or digestion seems so counter-intuitive, but it works. And thanks for you disinfectant recipe Kimmy, will have to give it a try. Apple Cider Vinegar as well as lemon juice become alkaline in the body, so are especially good for people who’s systems are too acidic. My favorite balsamic vinegar recipe is for balsamic glazed carrots. 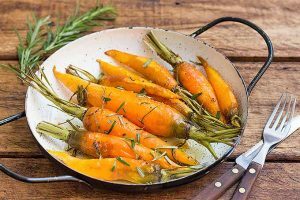 After cooking the steak I remove it from the frying pan and then put the partially cooked carrots into the pan with the steak sauce and balsamic and then turn up the heat and toss the carrots until soft and well glazed, it’s the only time my husband finishes his vegetables first! Those carrots sound great Mrs E, thanks for sharing! I’ve recently discovered the joys of vinegar, particularly when it comes to making pasta dishes. Balsamic has become something I throw into almost anything if I feel a dish is missing something. I’ve thought about making my own before and I think I might go through with it soon. I’ll have to let you know how it goes. I love using white vinegar for cleaning, sanitizing and deodorizing things around the kitchen – it really works a treat in the microwave and on plastic surfaces for some reason. It’s amazing how such a cheap item can replace so many products which are harmful to the environment and to us as well, and with so many uses! I also use it as a hair rinse on occasion which leaves my hair looking much shinier and smoother, and it can be diluted to use as a facial toner as well. My absolute favorite use has to be my mom’s mint sauce which goes with practically every savory dish. Thanks for all the new uses! It does pack a powerful punch for such a simple product cafwen! And thanks for sharing your ideas, especially the homemade mint sauce!